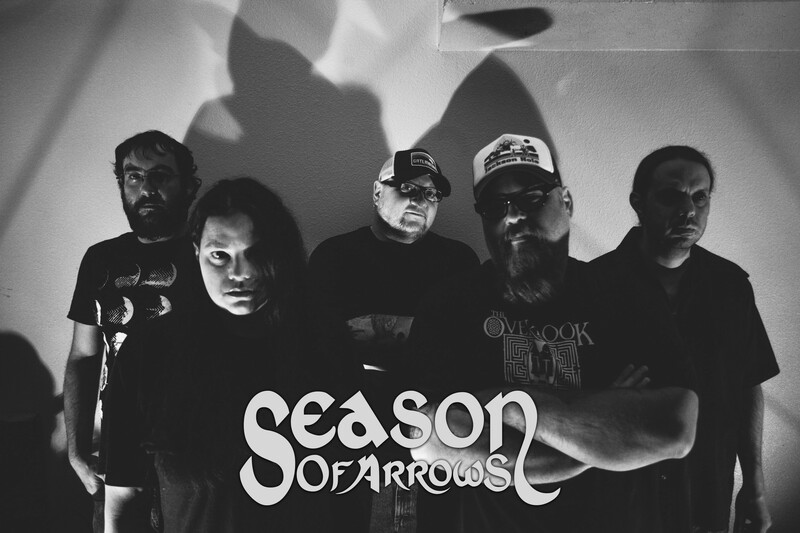 It has been a little over two years since Nashville’s Season of Arrows released their self-titled debut, showcasing their take on the sprawling stoner rock/doom genre. They received quite a bit of acclaim for that effort, but are looking to take things to the next level on follow-up ‘Give It to the Mountain’, due out October 28th via their new record label Static Tension Recordings. Having spent some time with the album over the past few days, it’s clear that this band has further refined their ideas and delivered an absorbing listening experience. Today we’re excited to bring you a premiere of the album closer, the almost seven minute long From the Wilderness We Return. It’s one of the pieces that is perhaps one of the best showcases of the merging of sweeping melodies and heavy grooves that Season of Arrows is capable of, and is sure to leave a lasting impression. From the Wilderness We Return is a slow burning track that lets its instrumentation expand slowly, adding new layers with each passing minute. While the crunchier doom base is still at work here to fill out the bottom end of the sound, what Season of Arrows has emphasized here are the airier melodies that drift across your speakers, creating imagery of a storm rolling in across vast plains. Stylistically it reminds me of a cross between desert rock and post metal, with a healthy dose of doom thrown in for good measure. With the melodies leading the way forward I can see a fairly wide audience being drawn in by everything that this group has to offer, as it branches out a bit further than the played out Black Sabbath worship that we’ve come to find from so many other bands that are influenced by anything doom. There’s a flair for the adventurous throughout the song, and the bottom heavy grooves and sweeping guitar melodies are the type that you can close your eyes and completely lose yourself in. Though the instrumentals may be what draw you in initially, what will keep you coming back to this song and the rest of ‘Give It to the Mountain’ is the vocal performance from Stormie Wakefield. As the guitar and bass create layers of sweeping melodies Wakefield stands above them with a singing voice that absolutely soars and seems to only get fuller the further into the track you get. The amount of power that she’s able to put behind each and every word is impressive, and it goes a long way in making the song boom out of your speakers in an epic manner that makes it feel like the band is sending you off on a journey into the wild. 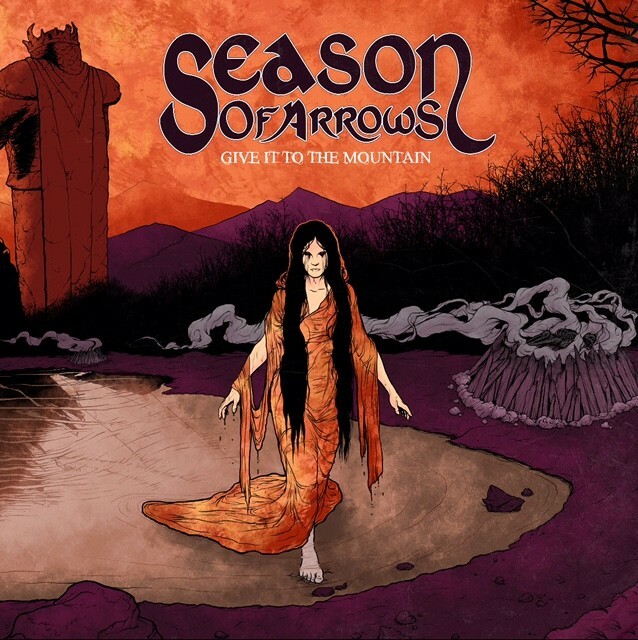 There are a lot of bands within the stoner rock, doom, and post metal/rock styles vying for your attention, but Season of Arrows is one that stands out. The group touches upon all of the aforementioned genres without ever falling squarely into one of them, and the warm atmosphere and airier melodies they create alongside bottom heavy grooves is fantastic. Dive into From the Wilderness We Return and grab ‘Give It to the Mountain’ when it releases October 28th on Static Tension Recordings.